One-wire temperature sensors like the DS18B20 are devices that can measure temperature with a minimal amount of hardware and wiring. 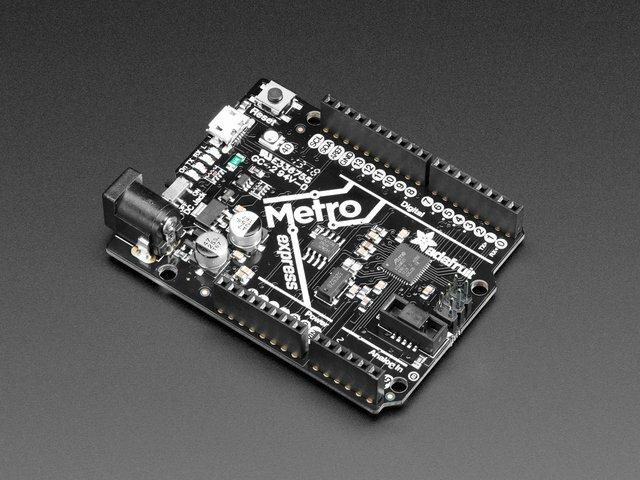 These sensors use a digital protocol to send accurate temperature readings directly to your development board without the need of an analog to digital converter or other extra hardware. 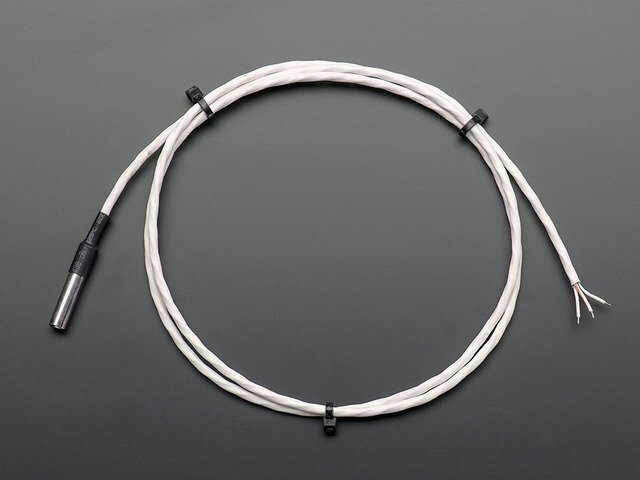 You can get one-wire sensors in different form factors like waterproof and high temperature probes--these are perfect for sensing temperature in many different projects and applications. And since these sensors use the one-wire protocol you can even have multiple of them connected to the same pin and read all their temperature values independently. 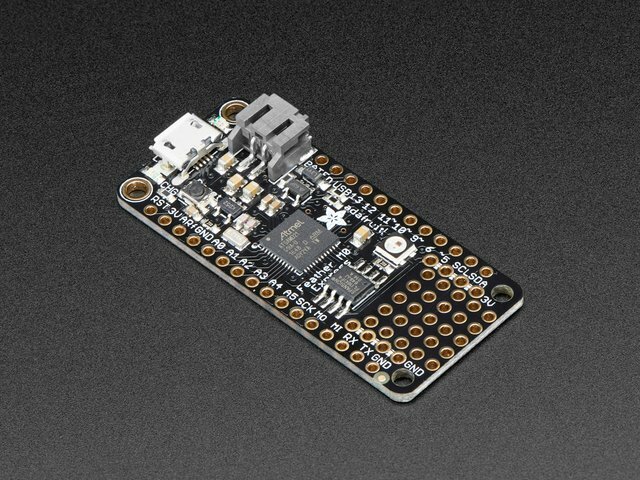 With just a few connections and some CircuitPython code you'll be sensing temperature in no time! 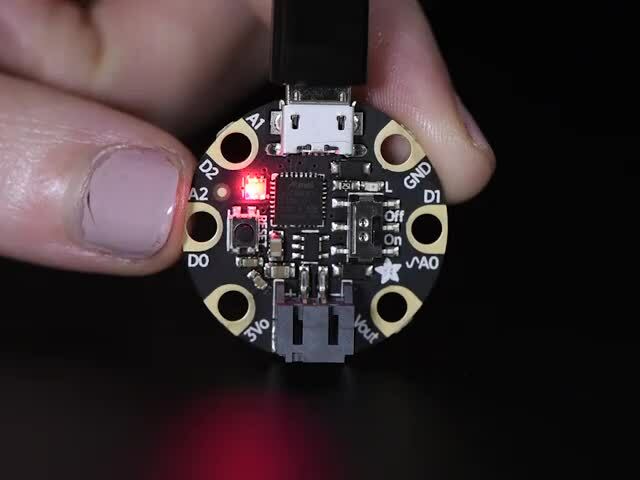 This guide explores how to connect a DS18B20 one-wire temperature sensor to a CircuitPython board and read its temperature from Python code using a few simple CircuitPython modules. DS18B20 Dallas one-wire temperature sensor. You can use a simple standalone DS18B20 sensor, a waterproof DS18B20 probe sensor, or a high temperature DS18B20 probe sensor. 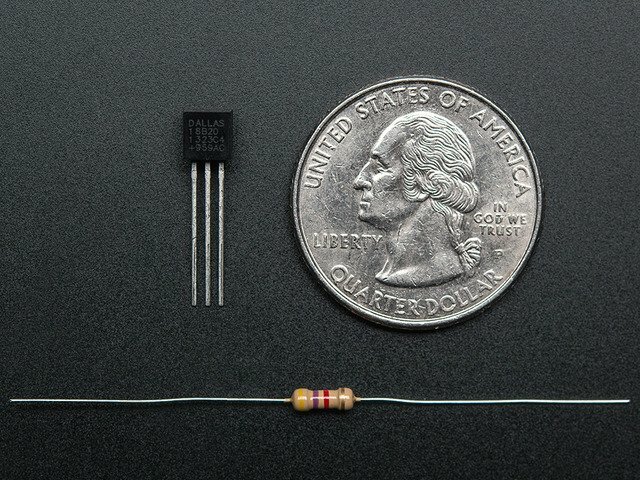 4.7 KΩ Resistor. One-wire devices need a pull-up resistor connected to their signal line to be properly read by your board. 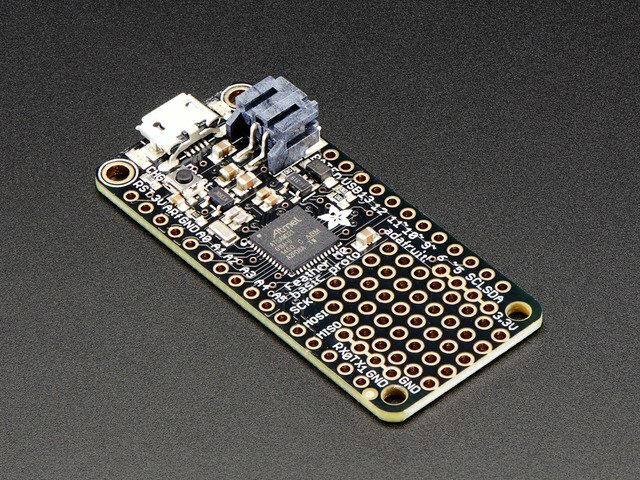 Luckily all the DS18B20 sensors sold by Adafruit include the necessary pull-up resistor! A board running CircuitPython. 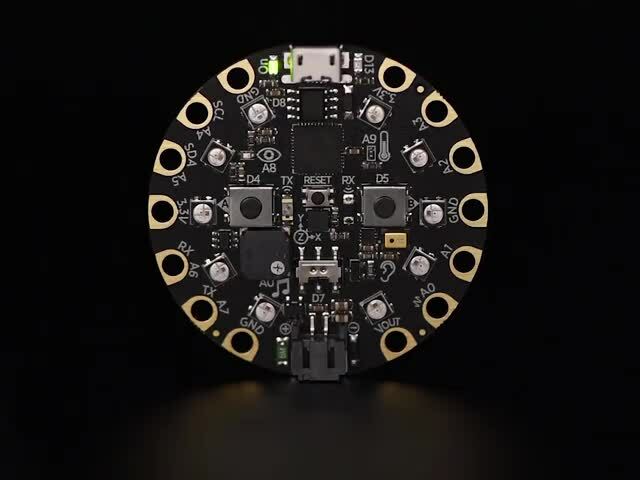 You'll need a board capable of running CircuitPython like the Feather M0 Express, Trinket M0 etc!. Left-most leg of the sensor (with the flat part facing you) to board ground. Middle leg of the sensor to board D5. Right-most leg of the sensor to board 3.3V. 4.7 KΩ resistor connected to both the middle leg (data) and right-most leg (3.3V). 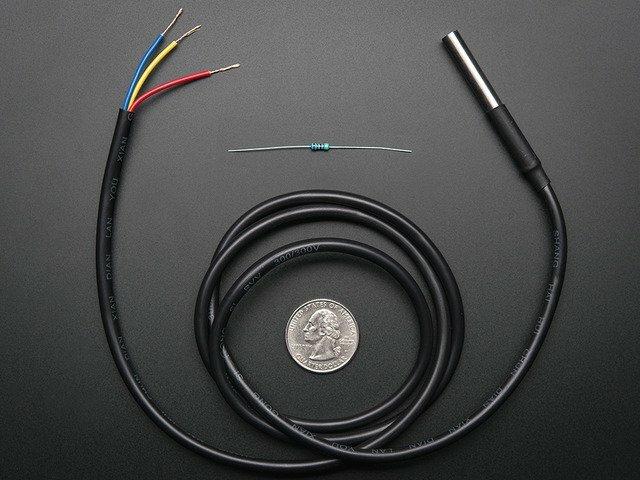 Black wire (or solid white on high-temperature probe) to board ground. Orange wire (or white with blue stripe on high-temperature probe) to board D5. Red wire (or white with orange stripe on high-temperature probe) to board 3.3V. This guide was first published on Jan 09, 2018. It was last updated on Jan 09, 2018.